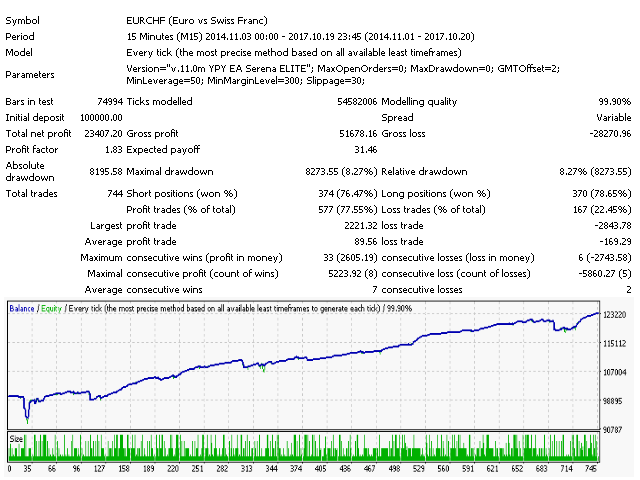 YPY EA Serena NG ELITE is a multi-currency trading robot for efficient management of large capital (above $25K), which uses about ten adaptive scalping strategies for each instrument (on the virtual level) in a calm market and performs automatic trading with real Take Profit and Stop Loss levels. Only one order is used for trading in each strategy, which ensures maximum safety of trading. 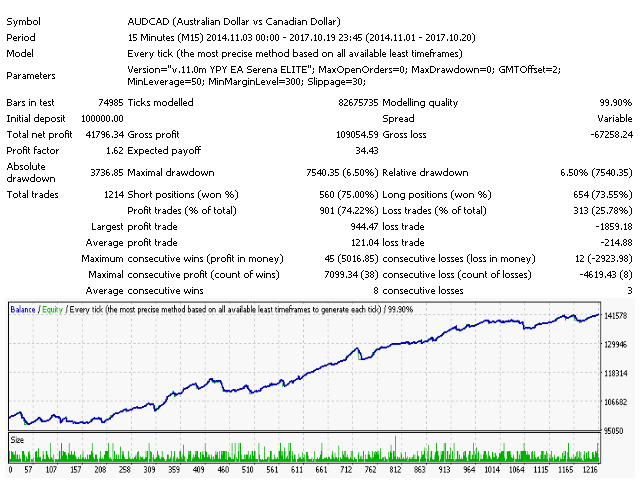 The system does not use any martingale/averaging methods. 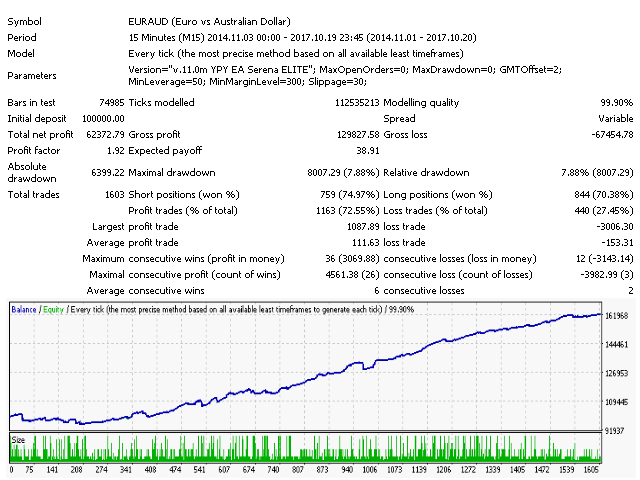 Different lot sizes of real orders are the aggregation results of virtual trading. You can read about the aggregation in the blog. This EA is being constantly adjusted by the developer for short-term trading on the current market (over latest 36 trade months) through regular updates. For deposits less than $25K you can use the "PRO" version. Information about the differences in versions can be found on the developer's website. MaxOpenOrders - limit the maximum number of open real order on the account for the virtual liquidity aggregator. FIFO - enable (ON) or disable (OFF) compliance with FIFO rules. Magic - order magic number. The product complies with FIFO. Any broker with the ECN, MTF, DMA, NDD account types, with market execution and tight spreads for the night market. Minimum leverage: 1:50/ Recommended leverage: 1:200 and higher. Recommended deposit is $25K and above. A global update of all virtual strategies for all instruments was made in order to adapt the advisor to the current market. All users are recommended to update the expert to the latest version. Supplemented the information in the messages on the expert panel in order to improve the friendliness of the interface. The lower the value of SpreadLevel, the better the trading conditions for the trader. For more convenient perception of the value of the spread level is displayed in three colors: green, yellow, red. 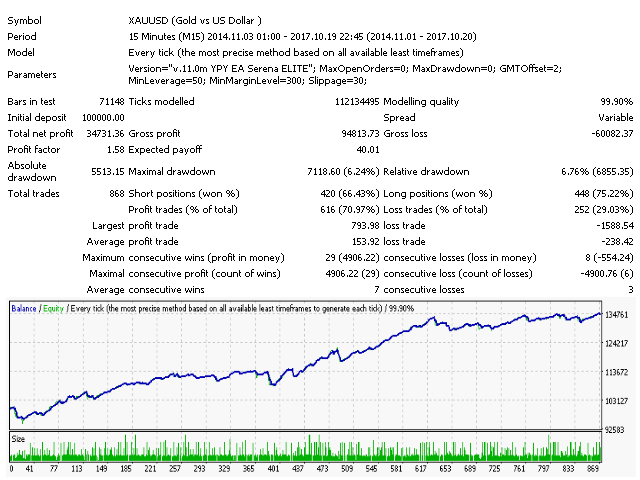 The more often the nighttime spread values ​​are displayed in green, the more profitable it is for the trader. Yellow color means satisfactory level, trade will be carried out. Red color means that the current values ​​of the spread are not desirable for trading, under such conditions automatic adaptive control of the size of the spread will often be activated, prohibiting the opening of new signals. We have established a requirement to have a history of quotes of at least 2500 bars m15. Please make sure that the settings of your terminal do not use a lower value. 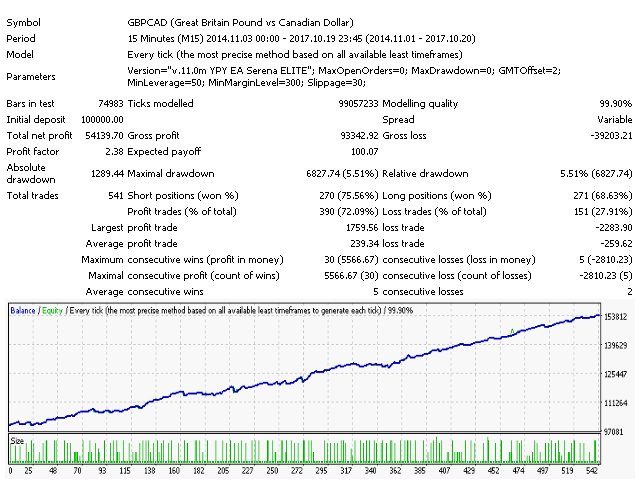 Added support for the following instruments: EURAUD, USDJPY, USDCAD. We draw the attention of users to the fact that starting from this version we form portfolios on our own author's technology of probabilistic assessment of trade in the future in the current market, that is, we are not trying to show the maximum result when testing for history. 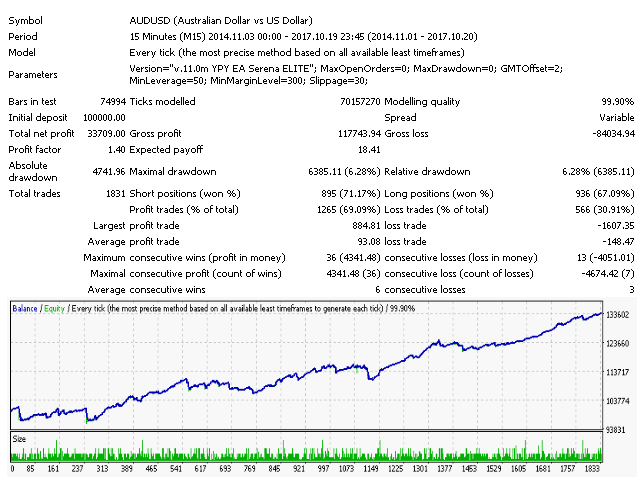 The support of the instruments AUDUSD, EURCHF, USDCHF, USDCAD, GBPAUD, EURAUD, GBPCAD is terminated. Considerably updated all virtual strategies on all symbols to adapt the EA for the current market. 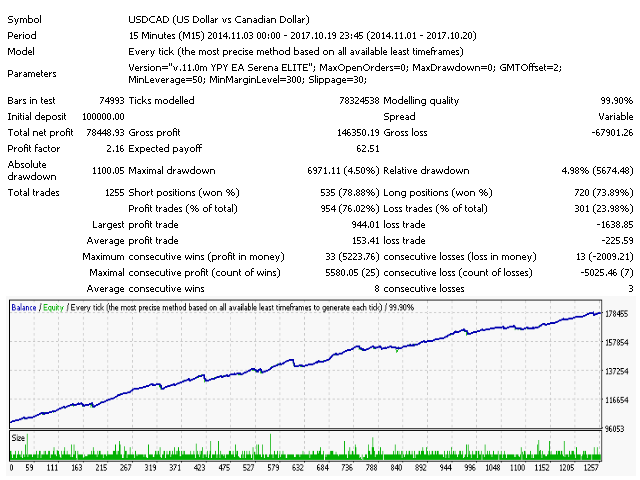 Significantly increased the efficiency of trading (by approximately 30-50%) while maintaining the same risk levels.